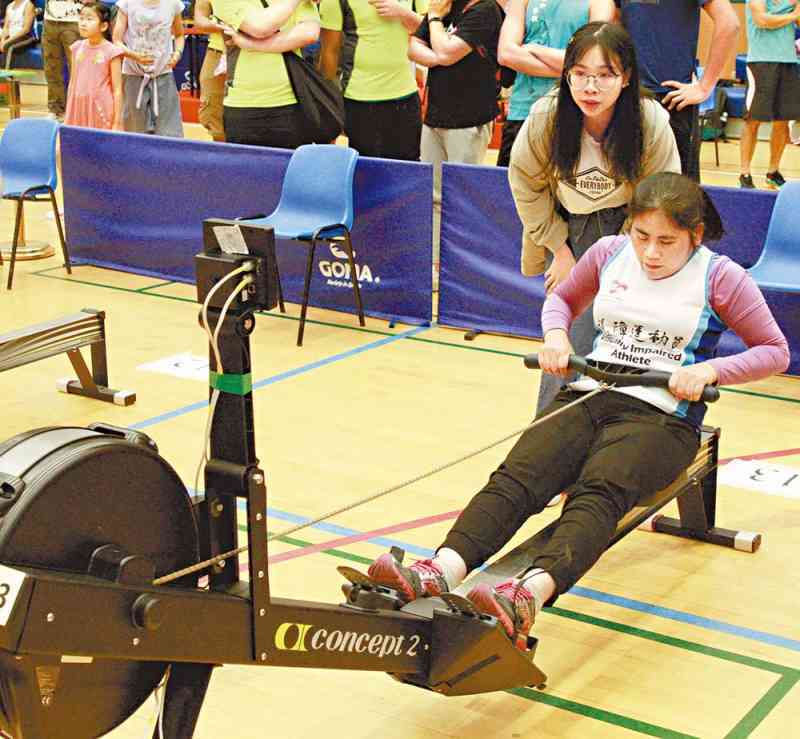 The Police Rowing Club held the Police Indoor Rowing Competition 2018 at the Police Sports and Recreation Club on October 20. A record number of over 400 participants from the Force, Junior Police Call, other disciplined forces, visually impaired organisations, secondary schools and youth organisations took part in 22 individual, pair and relay races in the event. For the very first time, the Police Rowing Club ran a contest for visually impaired athletes, members of disciplined forces and youngsters with the aim of fostering integration. The winners were very excited to receive the trophies and medals from the special guests, including Deputy Commissioner (Management) Chiu Wai-yin, Hong Kong representative of the Beijing Paralympics equestrian game Mr Yip Siu-hong and Chief Superintendent of the Correctional Services Department Wan Ming-ki, at a prize presentation ceremony. The special guests and spectators were impressed by the resilience, teamwork and sportsmanship of the athletes in the event.